How about a little more lighting in your shower or bathroom or anywhere in the house, without having the expense of getting an electrician in ? 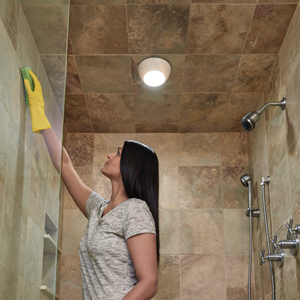 Byretech's "Easy Fit" Battery Powered LED Lighting Kits make your bathroom brighter and even better than that they are completely automatic. No wires to connect and they only come on when its dark and you get close to them, so the batteries last for ages too. In most cases you wont need to change the batteries for a whole year. We have a powerful ceiling / wall LED Light and two subtle downlighters which gently light the way for you when its dark.